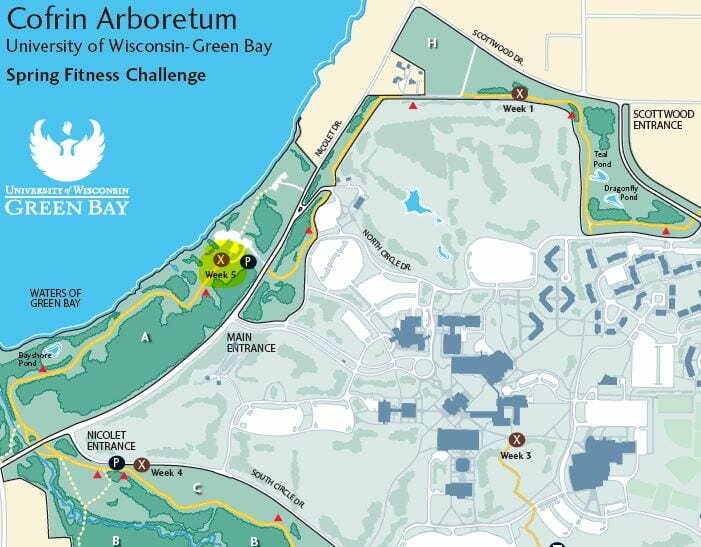 The fifth and final week of the Arboretum Poker Walk Challenge brings us to the trail near the bay in Bayshore Woods! The kiosk near the parking area will have the tear off sheets for the week of April 30th to May 6th. 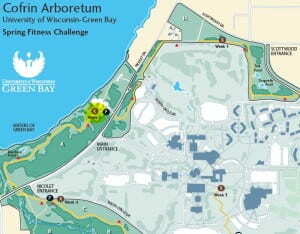 Check out the trail map at https://www.uwgb.edu/UWGBCMS/media/hr/Wellness%20Items/KioskMap.pdf. The Wellness Committee decided that any employee who participates in this challenge and gets at least one playing card will be entered in a drawing for prizes, so it’s not too late to get out there and discover the beautiful areas around our campus! Your body and mind will feel better after a brisk walk or run. After you have gotten your final playing card during week five, turn in all your playing cards at the Human Resources (CL 710) or Kress Events Center front desk by Friday, May 12th to be entered in the drawing. If you collected a card each of the five weeks, we’ll see how your poker hand plays against the other hands, and announce who won the game!